This week we hosted Penny Murray from the ubiquitous Sicilian winemakers Planeta for a trade lunch and wine dinner at our Hove restaurant. Taking a wine journey across Sicily with Planeta, we sampled wines from across the island from the red soils of Cerasuolo to the volcanic slopes of Etna. 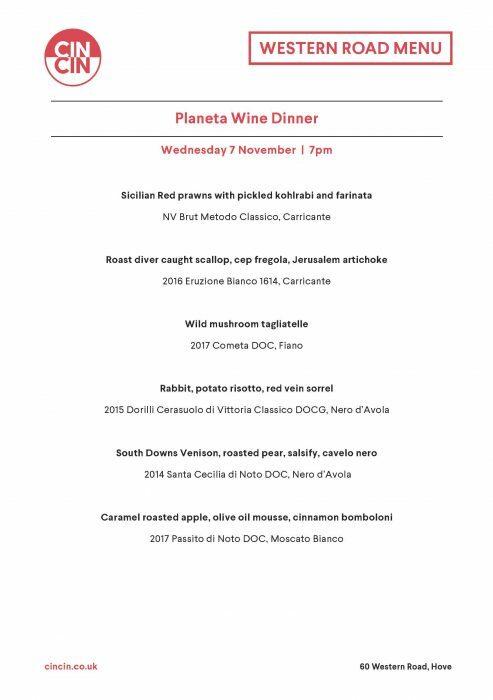 Our Head Chef Jamie Halsall designed a six course tasting menu to pair with each of the fantastic Planeta wines provided by Enotria & Coe, giving our lucky customers a gastronomic flight that will be remembered long in the memory!